A little gift from me to you. Because who doesn't like a gift from time to time? Or the clarity and creativity that comes from having a structure for building your work in the world -- from the inside out. Just enter your email below and then look for us in your inbox! Right now there is a confirmation email headed to your inbox. Just Click "Confirm Subscription" and Your Essential Business Plan will land in your inbox, post haste. 1:: It's a back door for us to have conversations about Sufficiency, Resourcefulness, Self Trust and Instinct. I see the act of building livelihood on our own terms as a "chosen finger" response to the notion that we're not quite good enough, or that we somehow need "more" in order to be "more". "Not Enough" is the biggest line of bullsparkles ever sold, and toxic to the human spirit. Watching women blossom into their inherent ingenuity feels like Christmas morning to me. 2:: It's an "all hands on deck" kind of moment. There are heaps of challenges that need addressing, cultural wounds that need healing, and a real need for the folks who want to do meaningful work in the world, to DO that meaningful work. We also have more resources available to grow our own livelihood than ever before. I want to be of benefit to those who benefit others, and help them expand their reach. This is how good things happen. 3:: I geek out on creating structure and systems. For all of my soulful, right-brained qualities, there's something so sumptuous about the pragmatism of neatly designed systems in business and life. Like the ecosystems of nature, or well composed music, we have more freedom in a well built container, and more room for instinct, improvisation and playfulness. This full day, 1-on-1 immersion is for you if you have an idea of what you’re building, but need a creative co-pilot to help you clarify + pin down your Message, your Method, and your Market, once and for all. The Well Resourced Woman is made for ladies who are creating their work in the world, and want to do good, while being financially sustainable to boot. 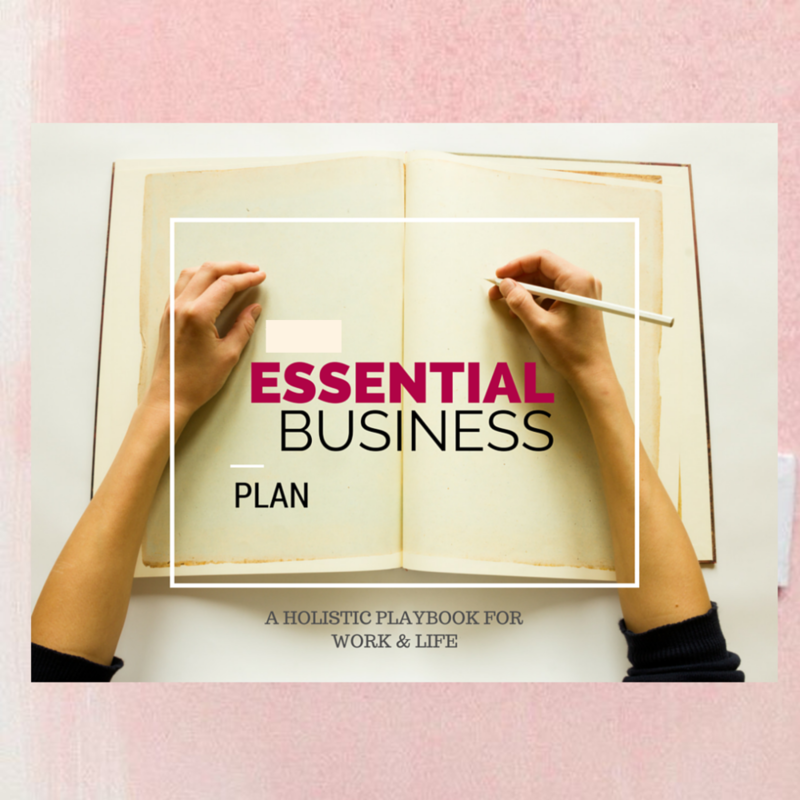 It's based on the belief that if you're not sustainable : financially, personally, and in the 'spine' of your business - your mission can't reach the world. The time spent with Adreanna was life changing, literally. I came into our sessions wanting to let go of my 9-5 job and move into yoga therapy full time, create more space in my days, and find a better work-life balance. And believe it or not, after 6 months of working together it all materialized. My quality of life has increased 100-fold and I could not have done it without the support of Adreanna. Connection. It's what holds us together.